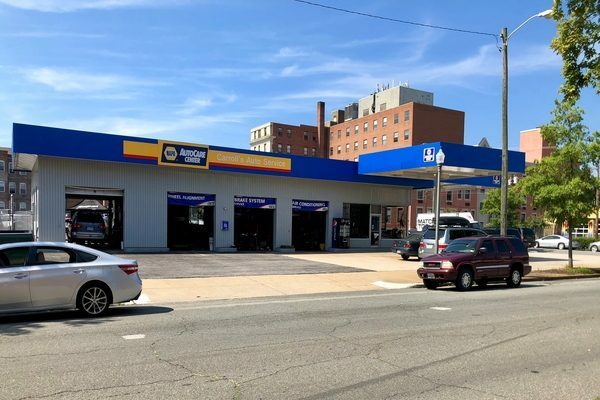 A long-time auto shop in the Museum District’s Devil’s Triangle is now in the hands of a local developer who has a long-term plan for condos on the site. Alan Delforn recently purchased the Carroll’s Auto Services property at 2811 Patterson Ave. for $450,000, according to city property records. The transaction, a direct sale between Delforn and shop owner Graham Bryant, closed Aug. 18. The most recent city assessment valued the 0.5-acre site at $670,000. 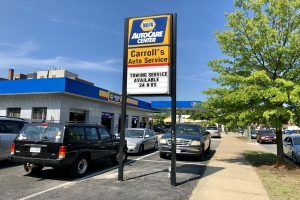 Despite closing on the property, Delforn said he has extended Carroll’s Auto’s lease until October 2019. Eventually, Delforn said the Carroll’s site would be razed to make way for a multistory, 20-unit condo development with units priced at more than $1 million each. The site has served as an auto service and gas station since the mid-1940s, according to city property records. No preliminary site plans have been filed with the city for development, but it would have to be rezoned to accommodate a residential project. Bryant would not comment about the deal. Delforn has had his hand in several development projects – mostly restaurants – across the city. He launched Selba restaurant in late 2011 on property he owned at 2416 W. Cary St. in the Fan. The restaurant closed in 2014 and now plays host to City Beach. He sold the property in 2017 for $1.2 million. Delforn also was involved in Star-Lite Dining and Lounge, which closed Sept. 1 after 16 years of business. The Carroll’s site is the second piece of property Delforn has purchased from Bryant. About three years ago, he bought the 0.16-acre surface lot next door to Carroll’s at 530 N. Blvd. for $100,000. Delforn said that property is now under contract to be sold to a developer who’s planning a five-unit condo project. While Delforn would not name the buyer, city records show that City Center Development LLC, an entity led by local developer Robert Englander, filed a certificate of appropriateness in March to construct a multifamily building on the site. Englander’s firm is known recently for proposing an $86 million mixed-use tower along East Grace Street near the Dominion Energy Center in 2016. That project has yet to materialize. Delforn is confident that the Carroll’s property is ripe for some added density. 3 Comments on "Museum District service station sold; high-end condos planned"
condo development and sales are the next step forward in the city revival. it’ll be interesting to see which apartments get converted early in the cycle. We will see if this gets any further than the Grace Street project. I am not sure Blvd and Museum District residents will be very supportive of the rezoning especially back to back buildings with NO on site parking.